Want to learn about various safety techniques while working? Want your employees to gain knowledge about health and safety concerns? If yes, then Centre for Safety and Environmental Management is the perfect place for all your concerns. CSEM offers solutions for all the health, safety and environmental training issues by providing high quality online training courses. They offer a wide range of online training courses for customers to choose from. Online learning is easy for employees and less costly for organizations. Professional and experienced staff helps participants in online learning by providing quality online health and safety training courses. All training courses are designed by including relevant content so that participants who take part in the sessions learn what they intended to from the course. The safety training courses are organized in such a way that the material presented or offered matches the steps that should be taken on the job. Employees should also be allowed to practice and apply the new knowledge and skills they have learnt in the training courses on their jobs. All training courses are designed by experienced and professional staff at CSEM to ensure effective online learning. Confined space entry is a training course provided by CSEM to assist participants in gaining knowledge about the hazards of confined spaces and procedures that are to be followed by the personnel working in confined spaces. The course contents are aligned with the federal standards for safe working practices to be followed which are developed by the Occupational Safety and Health Administration (OSHA). CSEM has made available all information about their services and training programs offered on their website. Interested customers can view the list of online learning training courses offered as well as comprehensive details and objectives of each training course. Clients can also join the referral program through the website of CSEM. Joining the referral program will help your company to add value to your products and product training with certified based credited courses to bring your clients into full compliance with mandated yearly training. Purchasing the online learning training courses is made simple by CSEM by allowing clients to shop through the website and by adding the desired online safety training courses to their carts and then completing a form for providing CSEM with their billing information. The form requires some of their company information such as the name of the company, phone, fax, email, address, city, state and the payment information. Crane rigging online learning training course is developed by experienced and professional trainers for making the participants understanding the basics of crane operations, choosing the correct sling and rigging hardware, inspecting rigging hardware and to rig a load correctly. To check the effectiveness of the safety trainings of CSEM, employers should allow employees to apply their new skills on the jobs. 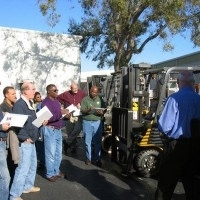 Centre for Safety and Environmental Management is committed to offer participants with various safety techniques for minimizing the risks of accidents at work places and providing online learning opportunities.